Molly's freestyle - A STOPMOTION! So this weeks theme is Freestyle!! So Lanie decides to show you her great outdoor adventure! Comment your favorite thing about Outside down below for a possible shout out next week! 7 Random Dolly's: Week 4 Theme! Freestyle means anything you want that meets the guidelines! 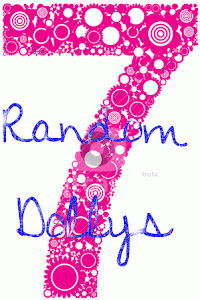 7 Random Dolly's Week 3! KATHRYN! Welcome to the team Kathy! Kathy's doll will be Emily, look out for her videos on Tuesday's! You can audition for Tuesday and/or Friday by sending an email to agdollysisters@gmail.com with a video, showing your doll and what she likes to do, etc. Week 4 Theme: This Week's Theme! The 4th week, of 7 Random Dolly's theme (this week's theme) is FREESTYLE! In these videos, dolls will do anything they want, as long as it meets the guidelines!